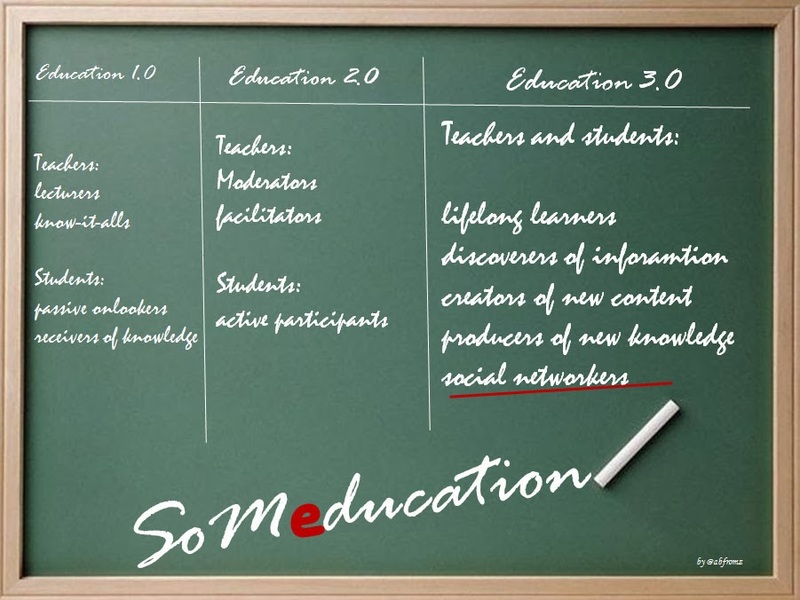 Over the past years we have witnessed the transformation of education 1.0 to education 3.0. Not only witnessed! 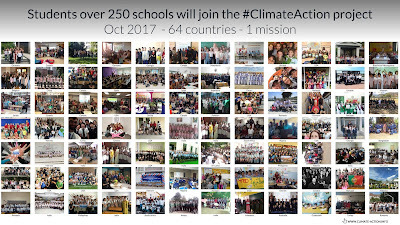 Along the way we – teachers and students – have actively participated in the process of change, we have brought and will continue to bring new ways of learning into our classrooms. 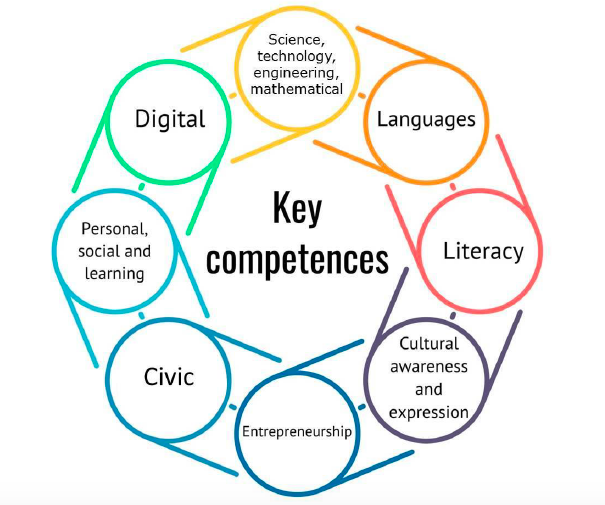 - to where we are right now in Education 3.0: there where the line between teachers and students is blurred, where we are all learners, discoverers of information, producers of new content and creators of new knowledge. But not only that! Today's teachers and students are social networkers who use social media for teaching and learning, for sharing and collaborating, for communicating and thinking critically and creatively. No longer can social networking be regarded as a fad that will soon disappear into thin air. Quite to the contrary, social networking has now turned into a remarkable opportunity for learning - social learning. We can't afford to miss this opportunity. It's no longer about teachers and students being friends on social networking sites, it's about embracing the potentials and benefits of social learning. It's about preparing our students for their future life and careers. 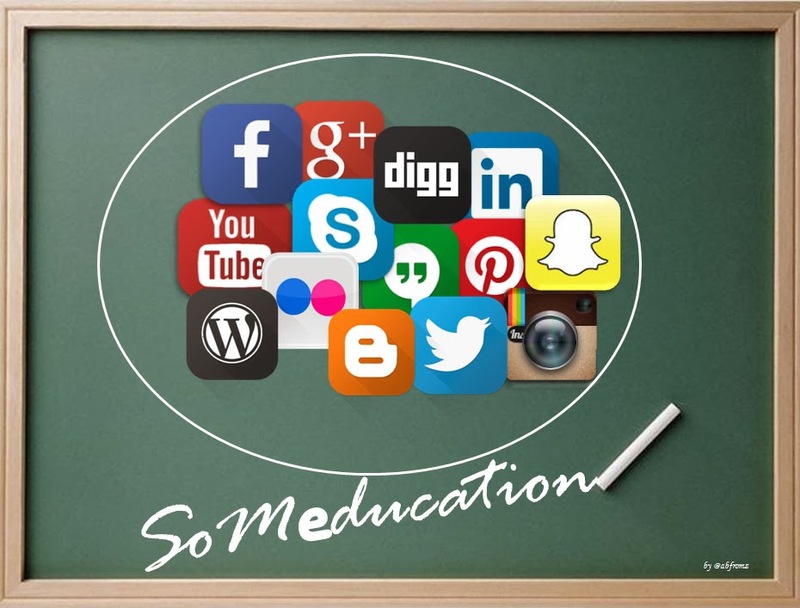 It's about taking advantage of all the possibilities that social media offer our students. Are we ready to someducate our students? I'm convinced we are. Do we know enough to somedify our classrooms? Yes, we do. Because we're lifelong learners who boldly go where no educator has gone before. That's why the third eTwinning learning event that Bart and I are leading for eTwinning teachers is about social media. The learning event starts on February 27, applications open on February 20. And just as in our previous learning events, there'll be lots of learning and.... fun in the Social Media Wonderland.